When it comes to snacks I always try to include proteins and as a result I tend to eat a lot of peanuts...like a lot. Scientific evidence suggests but does not prove that eating 1.5 ounces per day of most nuts, such as almonds, peanuts, hazelnuts, pecans, pistachios, and walnuts, as part of a diet low in saturated fat & cholesterol and not resulting in increased caloric intake may reduce the risk of coronary disease. Watch Planters A Gift from Nature 30 second video clip about learning to embrace nature gifts. A Gift from Nature Video Message: “Two perfect halves, in it for the long haul”. But, what does it exactly mean? Take what nature gives you! In fact, take it and run! We must use the gifts that nature gives us if we want to achieve a happy and healthy life. If you want to live a longer life in good health we must incorporate healthy routines in our daily life that can make us stronger and happier in the long haul. Incorporating exercise in our weekly routine, restricting calories, and consuming food with high nutrients and fiber is not only incredibly empowering but plays a critical role in our health and longevity. The wonderful array of nutrients, anti-oxidants, and fiber in Planters peanuts is amazing. 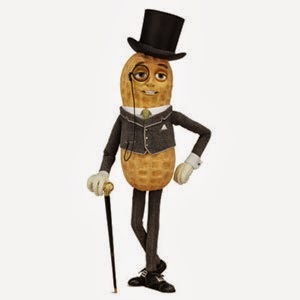 Learn more about harnessing the power of the peanut and accepting the gifts that nature gives you at: Power Of The Peanut!